My life with the 3stephensboys is exciting, trying, fulfilling, entertaining, amazing, tiring, inspiring... what God made me for & what I love. Therefore, you may not see many pictures of Darrin or me, but you will get an eye full of my 3stephensboys in all of their glory, amazement and cuteness! Thanks for visiting! Enjoy! Wow! See what happens when I go back to work?!?!? 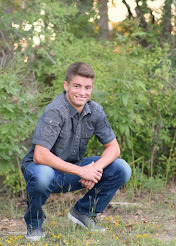 Dakota graduated high school in May and is headed to play soccer at Austin College in just a few weeks! We are so excited for him to have this opportunity and pray that he loves college and playing ball in college! He will be studying Chemistry and seeing if he likes it enough to go into Chemical Engineering. He loves math and science and is good at both, so we will see where that will take him! I don't think he is that ready to leave home, but I know once he gets there and falls into a routine he will be fine. He never has loved change! Kye is taller than me! Wears a bigger shoe size than Dakota! Still love animals and hopes to become a zoologist one day! He's going to be in junior high school in a few weeks! Crazy! He is in band in the percussion section and loves it! Doesn't get to sing or dance much anymore, but hoping that band will fill that musical need of his!! 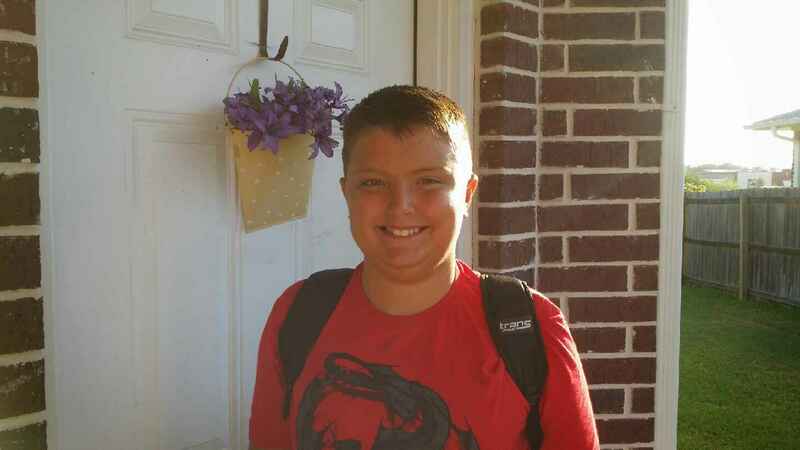 Kru-man will finish elementary school this year as a 4th grader. Hard to believe that this was how old Dakota was when we first moved down to Texas. He loves video games and soccer. We realized after this whole college soccer thing with Dakota how important club is to eventually playing in college, so Kru is starting club ball in a few weeks. He is very excited. Darrin and I aren't too excited about the $$$ nor the travel that it will require, but know it would've helped Dakota a TON so we are trying to focus on that! Darrin is still with TAMU with the TEEX extension. 9 year! I am starting my 3rd year teaching English in Iola. After 2 years of 9th and 10th grade, I will be teaching 12th and 10th this year. Time has flown and gotten away from me! I will try to update this more often! these children are as young as 5 and 6 years old. All of these children are slaves. Today many in our country will take a day off from our jobs to celebrate the social and economic achievements of American workers. No matter if we’re celebrating at home or at the beach, we’re entering into a tradition that has largely been shaped by Labor Unions - organizations that are dedicated to protecting workers’ interests and improving their wages, hours, and working conditions. Today as we lounge around or hang out with friends and family, we’re not only celebrating hard work, we’re honoring fair, ethical working practices and the laws that prevent discrimination, abuse, and child labor in our country. Without these laws in place (and enforced), the most vulnerable members of society suffer. Who are the most vulnerable? Children. Today as we’re celebrating the systems in our own country that strive to prevent injustices like child trafficking and child labor, we’re mindful of the many child slaves around the world who are unprotected and the organizations, like Mercy Project, who are working to free them. As a mother, it’s difficult for me to imagine my children working 14 hours a day, 7 days a week. I’m unable to wrap my brain around the thought of my children engaged in long, hard days of physical labor, eating one meal a day, and then falling asleep at night on a dirt floor filled with other slave children. 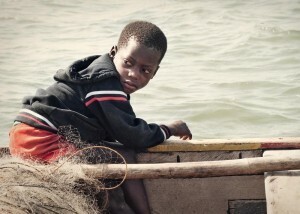 Yet this is the daily reality for kids who have been trafficked into the fishing industry in Ghana, Africa. As with much of Africa, there is a great deal of poverty in Ghana. Unfortunately, this leaves many mothers in an unimaginable position: sell their children to someone who can take better care of them or watch them starve to death. Most of the mothers are told their children will be given food, housing, and an education. 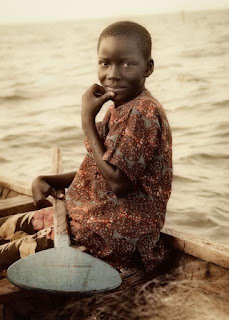 Instead, the kids are often taken to Lake Volta where they become child slaves and their mothers never see them again. Thankfully, Mercy Project is working to break the cycles of trafficking around Lake Volta by providing alternate, more efficient, sustainable, fishing methods for villagers – ultimately eliminating the need for child slaves. Because of the work Mercy Project is doing in Ghana, the first group of children will be freed this month from Lake Volta. We invite you to watch this moving, 10 minute documentary about the issues surrounding child labor and trafficking in Ghana and most importantly the hope Mercy Project is bringing to children and entire communities in Africa. 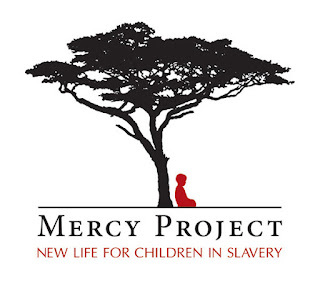 Mercy Project is the only NGO working on Lake Volta addressing the injustice of child labor and child trafficking at its root - by strengthening the Ghanaian economy and eliminating the structures that cause the demand for trafficked children. Whether these ideas of child labor, child trafficking, and modern-day slavery are new to you or you’re aware of these injustices, but need to hear some good news every once in awhile, we invite you to become a part of what Mercy Project is doing in Ghana. When Mercy Project frees their first group of children this month, we can all celebrate together. • Watching Mercy Project’s short documentary. • Sharing about Mercy Project’s work in Ghana with your friends. Although child trafficking, child labor, and the unstable economies that result in these injustices are a tragedy, we’re grateful for what Mercy Project is doing to protect the vulnerable and for allowing us to be a part of this story. While we’re commemorating labor laws and ethical work in our own country today, we invite you to follow along on this journey with Mercy Project to protect and free children in Ghana. I hope that this post finds you healthy and well! We here in the South are doing fine and have been busy as I'm sure most of you have been too! So as not to bore you with all of our particulars, here is a highlight of this past year. Made the jv soccer team! For the other 2 Stephens, everything is pretty much the same. We have the same jobs, still live in the same place! and still trying to keep up with the boys and their craziness! Although during the past 2 weeks, we have gotten rid of both of our old vehicles. Just yesterday we bought a new little 2011 Soul. We are pretty excited to have a reliable vehicle! We are having to get used to everyone sitting so close together after the van, but it runs! it's under warranty! it has heat! it has ac! the windows roll down! it doesn't smoke!! !burn oil! So YAY! After spending Thanksgiving alone, we are excited to see family during the Christmas season!!! In fact, only a few days away! I hope that all of you will have a blessed Christmas and that Jesus will be the focus of all of our celebrations!!! Dakota is 15! How did THAT happen? and of course can't wait to drive! I don't have to worry about! I'm very thankful and blessed! and a cake with pink icing! and Kye and Kru had a blast! 4 hours and had a great time! Kye had a museum day and was a caveman! Kru had a field trip to the Oil Ranch! fed cows and goats, rode a train and hayride! I loved being able to go along! BooFest again this year. This was our 1st time to go. Dakota trying to "win" a trip! And then the night, of trick or treating! Dakota's idea of trick or treating! first time and he loved it! Bryce and Caleb! Look at Kye's intensity! the petting zoo had to do! Cheering for the blue knight at the joust! He didn't win :0( Kye was bummed! Kye and his buddy, Caleb! is rare, but really important! Have I told you that Dakota is in high school?!?! It blows my mind and on any given day it scares me a bit because he goes to a large 5A school. There are 2500 kids there and over 800 in his class alone! That is bigger than the college I went to! But every time I find myself becoming a wee bit nervous, I have to take a breath, say a prayer and know that Dakota will be fine! Dakota asked Mati to go to Homecoming with him. Not ever having a high schooler before, I was a newbie at this whole thing! Apparently, the whole entire affair is important and we learned quickly what we had to do! It started with how he would ask the girl. It had to be creative! You can't just go up to a girl and ask her, you had to think of a special way to "pop of the question!" Mati is a swimmer, so Dakota got her locker combination and we used a pair of goggles and wrote of the eyes the question. Attaching the goggles to a sea turtle stuffed animal, Dakota hung the turtle in her locker along with some candy. I thought that was the end of it other than buying him a outfit, but no there was more! Of course I was assuming there would be a purchase of a crosage for her, but not here in Texas, at least not for homecoming. Here is Texas they have this tradition of making and giving mums! What is it, you ask? It's a fake flower that you embellish and then embellish some more. The girls' mum is bigger and the boys' mum is attached to a garter that he wears on the arm. But it's only for pictures! They don't wear them at the dance, but whatever! So a couple of weeks before the dance, Dakota and I went over to Sarah's (a Texan native) so she could help us. I really enjoyed it! And actually made another one for a friend! So now that the mum was made, Dakota and I went to the mall to find him an appropriate outfit that wasn't shorts or jeans! It took awhile, but we finally found pants, a shirt, a tie! (his first) and a pair of Vans! (making uncle sooo proud!) Having never worn a tie before, dad had to help him out! Chillin' before time to leave! So the plan was that we would meet Mati at a friend's house and that all of the parents would take turns transporting the kids for the evening. First was Kelly's house for pictures, then off to dinner, then to George Bush Library for more pictures, then to the Expo Center for the dance and finally pick up at Midnight and drop off at homes! Here are some picts of the couple! I made them pose funny! And then the double date! All in all I think he had a fun time! And it was a High School experience and memory for sure! I couldn't believe how perfect his tie matched her dress! 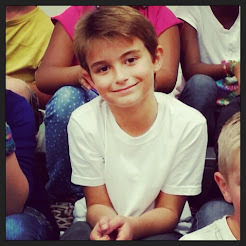 Really need to update about our summer happenings, but thought I should get up the first day of school picts at least! Seems I can't find time to keep up with the blog! So here are the pictures from the first day of school a few weeks ago! It's hard to believe that we have been in school for a month now! My high schooler! 9th Grade! Kru-man at his desk! He was way excited!!! Then it was off to the high school! Where did the time go??? Seems like yesterday that I was dropping Dakota off at Kindergarten!